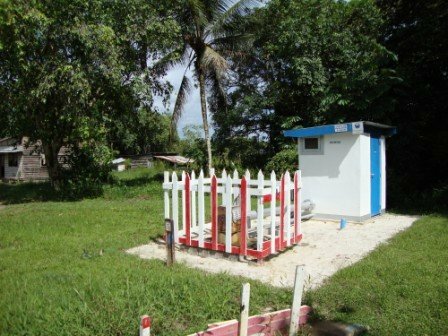 Tauw carried out a multiple-case hydrological study for the Surinaamsche Drinkwatermaatschappij (SWM) in cooperation with the Anton de Kom University/Universiteit van Suriname AdeK and Trustfull Services. A request was submitted within the framework of the Crashprogramma Drinkwater to actualize the existing hydrological knowledge for two areas. The project was subdivided into three parts: Van Hattemweg, Commewijne and a training course. Tauw examined the possibilities of doubling the Van Hattemweg pumping station capacity. Ground water supplies suitable for the preparation of drinking water are limited due to the limited number of fresh water spots. Specific issues to be dealt with in the catchment area are the presence of other drinking water pumping stations such as Lelydorp and Helena Christina. But the large-scale bauxite mining in the past and even current mining also have a huge impact on the geo-hydrology. Temporarily due to large-scale drainage activities and permanently due to the removal of the clay topsoil over many square kilometres. In a field study the existing groundwater measurement network was re-sampled to determine changes in quality in recent decades. Geo-electrical measurements have been carried out to actualize the dividing line between freshwater and salt water. All field work information and a great number of old research reports have been incorporated into a groundwater model. Calibration took place on the basis of field measurements and measurements at pumping stations carried out over a great number of years. A preview of a Van Hattemweg pumping station with double capacity shows good potential for expansion here. The Commewijne district shows quite a different set of problems regarding drinking water in spite of a similar groundwater and geo-hydrology situation. There are hardly any pumping stations here because only one pumping station was built along the only big road that was built to open up this area: the Morico pumping station. However, it was never brought into production due to the civil war. Field work was also carried out here to actualize data. New monitoring wells have been drilled up to a depth of approximately 100 metres. The calculation model in Modflow and Mt3d and the field data show that in this case the freshwater/saltwater dividing line did advance as far as Morico, but that further west only brackish to salt water is accessible. Another freshwater source lies in the much deeper A-sands. This aquifer’s calculation models have been actualized and enlarged to include an Mt3d model. This shows that the current pumping stations can be kept in production for the time being, but that salinization will cause problems on the north side.